Allee effects are (broadly) defined as a decline in individual fitness at low population size or density. They can result in critical population thresholds below which populations crash to extinction. As such, they are very relevant to many conservation programmes, where scientists and managers are often working with populations that have been reduced to low densities or small numbers. There are a variety of mechanisms that can create Allee effects including mating systems, predation, environmental modification, and social interactions. The abrupt and unpredicted collapses of many exploited populations is just one illustration of the need to bring Allee effects to the forefront of conservation and management strategies. 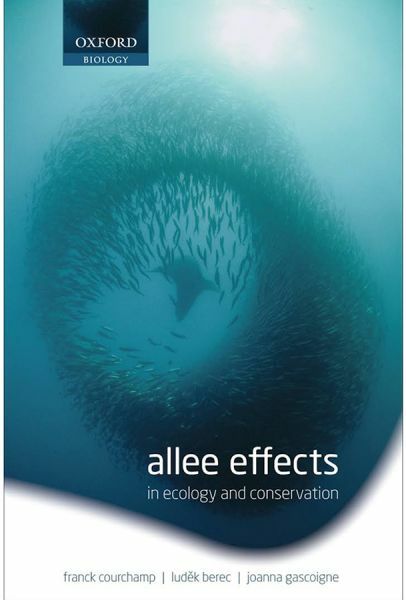 Allee Effects in Ecology and Conservation provides a concise yet authoritative overview of the topic, collating and integrating a widely dispersed literature from various fields marine and terrestrial, plant and animal, theoretical and empirical, academic and applied. This accessible text, with its clear and simple explanations of both empirical observations and theoretical predications is particularly suitable for professional and academic ecologists requiring an overview of the state-of-the-art in Allee effect research, as well as for graduate students in population ecology and conservation biology. It will also be of relevance to a wide readership of professionals in conservation and management requiring a concise summary of the topic.